Today is my debut as a contributor to the blog The Chess Improver, thanks to the invitation of GM Nigel Davies to join in the sharing of ideas and observations about improving at chess (and even more generally, other endeavors as well). I will be regularly writing about chess there instead of here. Note that although the blog does not support comments, Nigel Davies hosts lively discussions about each blog post on Facebook through his account. 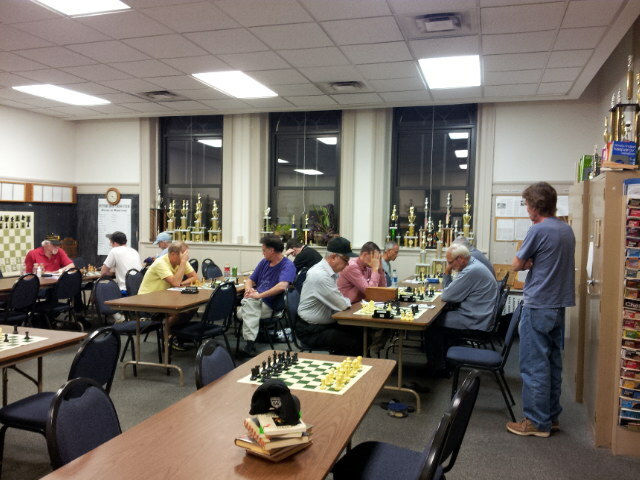 Since it turns out that I have just finished two of the six rounds in the current Pittsburgh Chess Club Tuesday night tournament, the 15th Fred Sorensen Memorial, I began my debut by using my first round game as material for a post to beginn a discussion about learning from imperfectly played games that, however, illustrate chess themes well. I will have a post up next week about my second round game of this week, which was quite interesting. I will not always be writing about my own games on the blog, of course. They just happen to be, right now, a timely source of relevant material, since I am in the middle of a tournament. Since I have not played tournament chess since winning the 2013 Pittsburgh Chess Club Championship in February, if you have discovered this blog only recently, you may be interested in exploring my previous chess writings.